The vertical solutions give full expression to the energy of the Sinfonia collection. 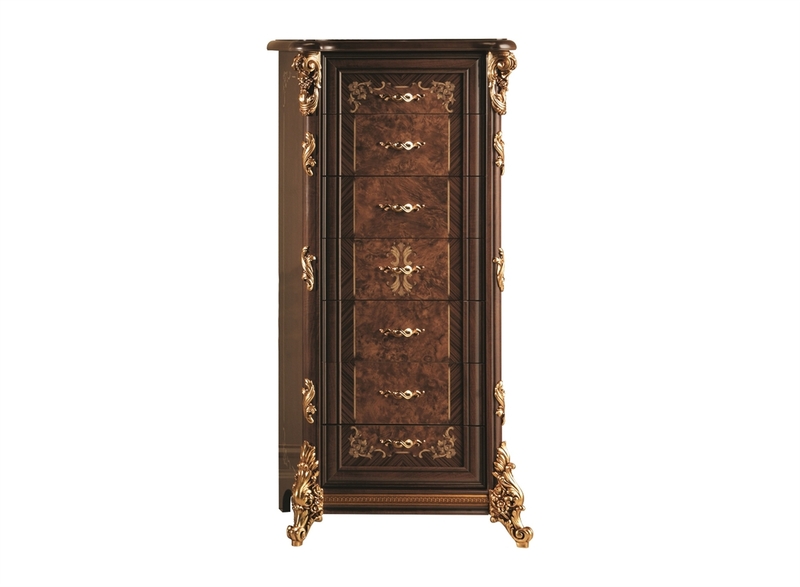 The seven-drawer chest is a tangible demonstration: elegant, refined and with an antique balance from the choice of well-marrying materials. This furniture choice will render precious even the smallest angle of your home.